During the course of road construction near Peqi‘in in Upper Galilee, a unique Chalcolithic burial cave was revealed in 1995 on the eastern face of a hill sloping down to the Peqi‘in Valley. 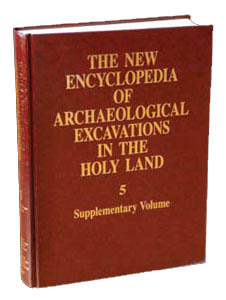 A salvage excavation was conducted the same year by Z. Gal, H. Smithline, and D. Shalem on behalf of the Israel Antiquities Authority. The Peqi‘in cave appears to have been a central mortuary site at which ancestor worship was practiced during the Chalcolithic period. Most of the finds from the cave, apart from sculpted heads and new types of ossuaries, are familiar from other sites of the period. However, it marks the first instance in which all the regional Chalcolithic sub-cultures are found in a single defined context, thus providing a unique opportunity to study the interrelations among these regions. THE CAVE. The cave, 17 m long and 5–7 m wide, consists of three spaces at distinct levels. These spaces slope downward toward the interior of the cave from east to west. An impenetrable corridor, full of debris, led from the cave entrance to the uppermost level. The eastern part of this space, leveled and partially paved with fieldstone, was buried under debris and ceiling collapse. Ossuaries stood upon the fieldstone surface, crushed by the collapse. A built stone platform upon which ossuaries were also found is situated at the southern side of this uppermost level. On its western side is a terrace wall dividing it from the intermediate level. A niche in the northern wall of the cave was filled with a large quantity of disarticulated human bones, apparently randomly dumped.